Every year London sees a huge footfall of shoppers from all around the word. This comes as no surprise, since the city is home to the longest shopping street in Europe- the Oxford Street. London is one of the hub cities for latest fashion, technology, trends and electronics and more. London has a number of heritage and flagship stores that makes it a favourite among shoppers. If shopping is the main aim of your trip to London, it is best to book your stay in a hotel that is central and luxurious. Staying central helps you access London’s best shopping spots easily and a luxurious hotel helps you unwind and relax after all the shopping. The Montcalm group of hotels exude luxury and comfort providing you with the best hotels to stay in London. Book your stay at the M by Montcalm London Tech City hotel to make your trip memorable and special. The hotel is three minutes’ walk away from the Old Street tube station and bus stops that swiftly connect you to all parts of London. This luxurious hotel welcomes you with warm hospitality, stylish rooms or suites, in-premises restaurant and bar, Spa facilities and treatments, spacious area for hosting private meetings and events along with an unmatched range of modern facilities and amenities. Here’s a list of hot-spots shoppers must visit to have a fulfilling shopping experience. Only in London you can experience grand department stores that also have a heritage story attached to them. You can visit the grand Selfridges on Oxford Street. Then head to Debenhams, Fenwick, House of Fraser, and Liberty, Marks and Spencer’s and the John Lewis store on the same street. These multi-level stores offer everything from clothes, footwear and accessories for men, women and kids, electronics, homeware, cafes and more. They are one-stop-shops for all your shopping needs and they cater to shoppers of all kinds and ages. 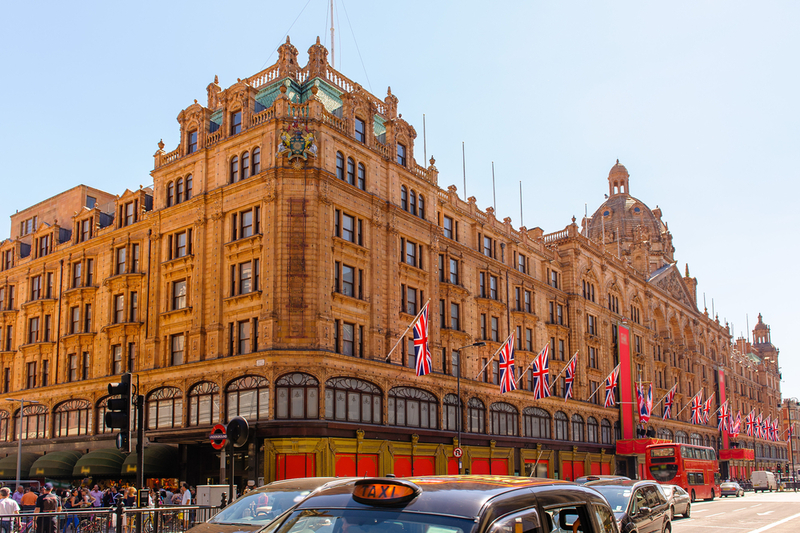 In Knightsbridge, you can go to Harrods and Harvey Nichols to enjoy a fulfilling luxury shopping experience. You must also visit the beautiful and unique Fortnum & Mason Store and explore its fine selection of foods, hampers, teas and wine. All these huge stores also offer some of the best restaurants and cafes so that you can take a relaxing break from shopping. London is known for its cultural scene, offering a unique mix of vibe in every corner of the city. To help you shop better you can start your shopping from Marble Arch station till Tottenham Court road, covering a huge number of shops on Oxford Street, Bond Street, Carnaby Street and the Regent’s Street. You can explore the Jermyn Street for its menswear shops. Plus, you will find a delectable mix of shops in Mayfair, Covent Garden, and King’s Road in Chelsea, Knightsbridge, Saville Row, Camden and Canary Wharf. London is famous for its Market and the unique things you find in its many weekly markets. Popular for its boutique shops and local artists these markets are always the most buzzing shopping spots of London. 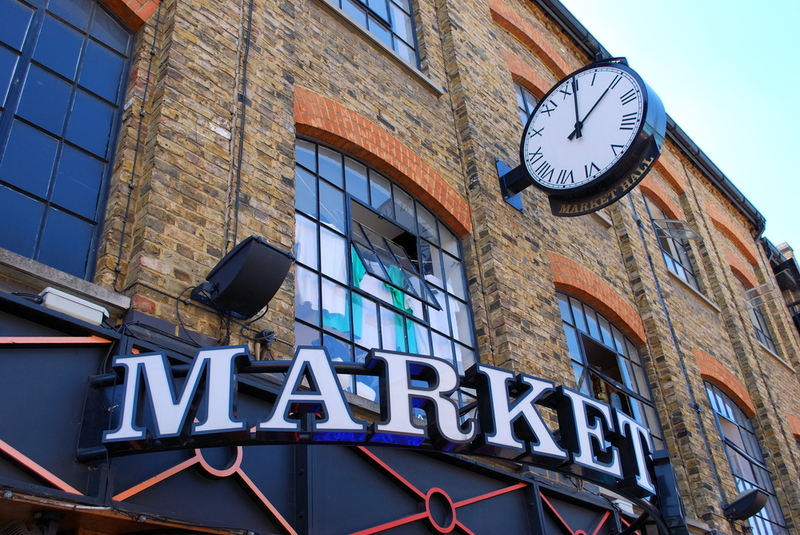 Depending on what you like, you can go the Camden Market for Goth and grunge shopping, Portobello Market in Notting Hill for antiques and retro style shopping, Brick lane market moments away from the M by Montcalm London Tech City hotel. You can explore the Jubilee and Apple market in Covent Garden, Alfie’s Antique market, Greenwich Market for food and shopping, the Old Spitalfields market, South Bank market, Borough market for world food, the Broadway Market in Hackney, Columbia Market for lover of flowers and Maltby street market for foodies. With every market you will enjoy a unique feel of London and its people. The best times to shop in London are the months of December and January. In December you will witness the best displays and collections by all shops for Christmas, New Year and the festive period. While in January you can enjoy sales all over London, making it the best time to shop in London. As we all know London’s weather can be very unpredictable and if you fancy having all your favourite brands under one roof then you can shop in the massive Westfield malls and the Brent Cross mall of London. With this list hope you have a happy time shopping in London.